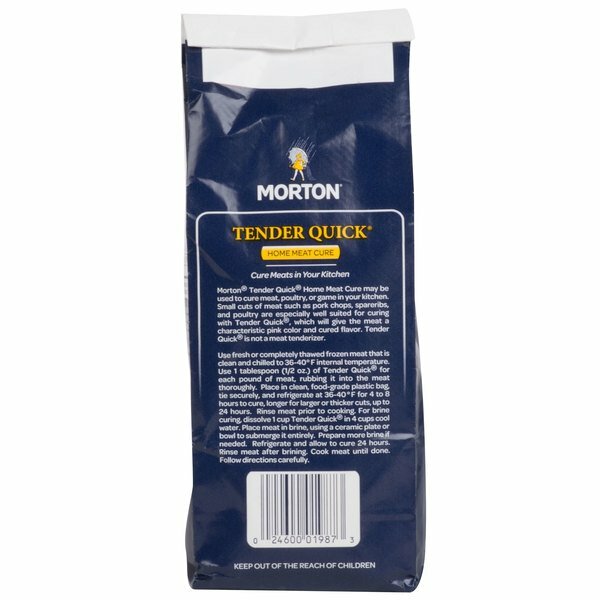 Morton Tender Quick Meat Cure - 2 lb. Sweet Salmon JerkyMake money with our recipes! See how our recipes can help you save money based on serving sizes. We've got all the ingredients you need. 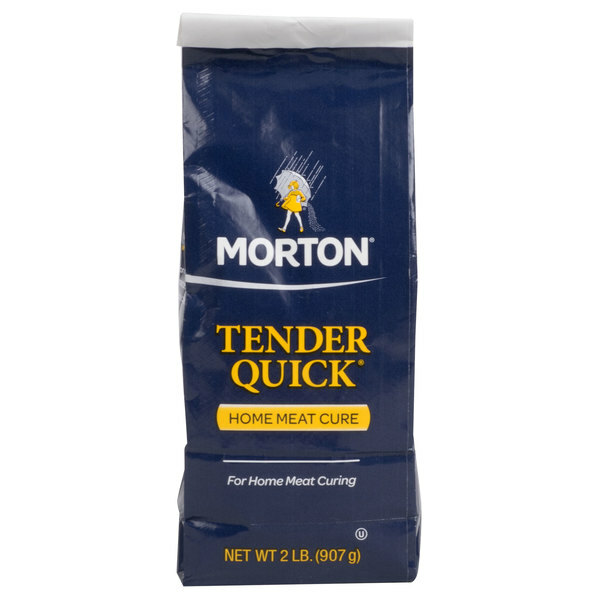 This Morton tender quick meat cure is specially-designed to cure meat, poultry, fish, and game. It is a mixture of salt, sodium nitrate, and sodium nitrite, which works to slow spoilage and prevent botulism. Not only does it maintain the meat's color and flavor, it also helps inhibit the growth of E. Coli and other bacteria that cause illnesses. This Morton meat cure works particularly well on smaller cuts of meat, including pork chops and spare ribs. It can be used with salmon, shad, and sablefish. Morton Salt is an iconic brand that has become a staple in American kitchens. The history of Morton Salt dates way back to the Gold Rush, and this timeless brand has been pleasing chefs and customers ever since. Safely prepare wild game, preserve your foods, and reduce bacteria growth with this Morton tender quick meat cure! 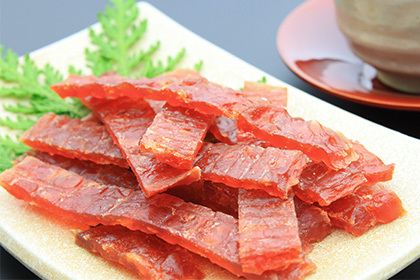 A great brand of salt and their tender quick meat cure is great for curing meat at home. We love the quality job this product does on our pork ham.